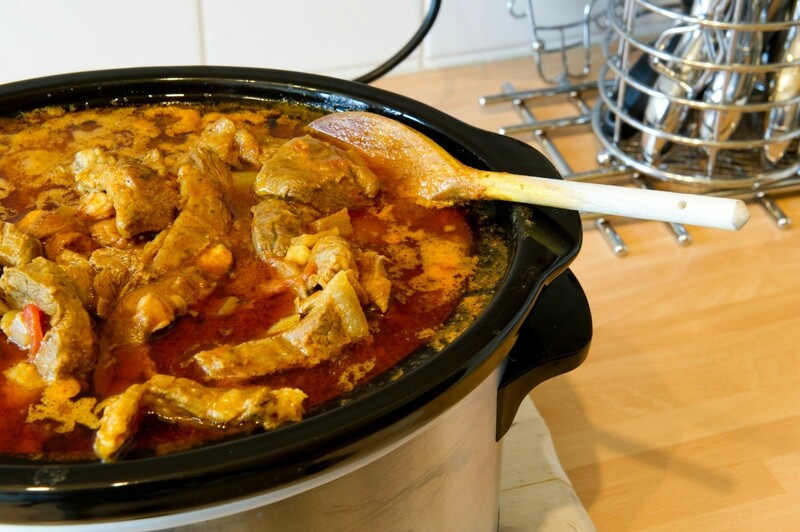 Those hours of cooking generally leave a cooked on food edge around the inside of your crock pot or slow cooker. This is a guide about cleaning a crock pot. After using my crock pot, I had a "cooked on, dried up" mess. I filled the crock up two thirds with water, added a drop of dish washing detergent, then turned it on low. After I came home in a few hours, I turned it off and let it cool. The "cooked on" mess was so easy to clean off! The "high" setting works also, just depends on how quick you need it cleaned. I never have to avoid those messy recipes again. Crockpots can be a pain to get clean. So, here's a clever trick to help you save some time, energy, soap, and even money. Place a cooking bag in the pot, fill it with the ingredients for your recipe, close it up and slow cook and serve as usual. After dinner, all you have to do is pull the bag out, close it with a twist tie, and store it in the fridge. You can reheat it in the same bag in the pot for the next meal or you can keep it in the freezer. This saves on freezer bags, too! I like this idea, but would be a little cautious about using plastic to cook my food in with all the talk about chemicals transferring to food. Before using your Crock pot or pans to cook food, spray it first with Pam. Food will not stick and clean-up is a breeze. I do this always and it has not failed me yet. This does not affect the taste of the food and does not harm the crock pot. Source: Started doing this on my own to see if it worked and it proved effective. How do you clean really scorched on food out of a slow cooker? I left a dessert recipe cooking too long and the chocolate cake is set like stone. I got off quite a bit by filling it with water and heating/soaking it. I also did this with baking soda and with vinegar in the water. Have you tried soaking it with some baking soda water overnight? That works for me. If I ever have cooked on food I use a dryer sheet. Just put the dryer sheet in the bottom & run hot water over it making sure that the water level covers the food & let it sit for an hour or so. Then just wipe the food off with the dryer sheet. Works everytime & I never scrub my cassorole dishes thanks to this little tip. no one would wash though all used it. My slow cooker consists of two pieces. The outside pot is metal and the insert is ceramic. The metal pot has 2 holes in the bottom. 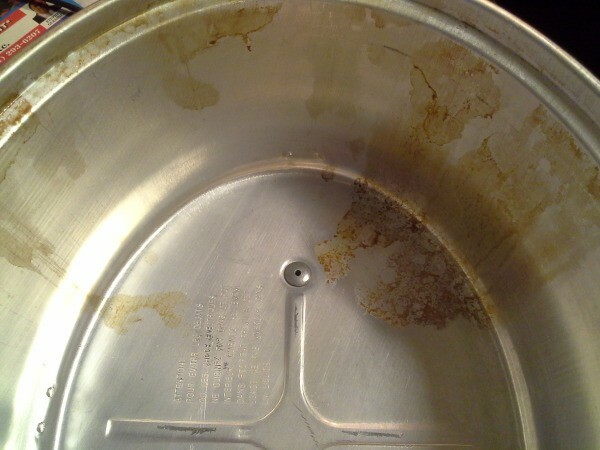 The burnt on stain is inside the metal pot and water cannot be put in it. How do I get rid of the stain? You can put water in it, but just a little. Use a green scrubber and keep wiping out the water with a sponge until it is clean. That's how I do mine. Clean this part every time you use the crock pot and it won't get too stuck on. How can I remove the food smell that lingers in the gasket, in the lid of my slow cooker, after it has been thoroughly washed? This is a Crock Pot brand slow cooker. How do I clean the cooked-on residue from sausage and beans from the inside of a crock pot?